For many couples, an engagement ring is more than a token of their relationship, it is also a symbol of their faith, culture, and history, and Jewish engagement rings are some of the most richly symbolic pieces of jewelry available today. Engagement rings and other betrothal tokens have been popular items throughout much of history, but Jewish rings in particular picked up much significance and meaning during the Renaissance. In that period, hugely elaborate rings with intricate details were considered a necessary ceremonial adornment for weddings, though the miniature works of art were often unsuitable for daily or long-term wear. Often shaped like a temple or synagogue and potentially reaching up to four inches in height, the rings might even have working doors, hidden compartments, or elaborate filigree patterns to represent not only the vows the couple exchanged, but also the wealth of the families and their commitment to one another. 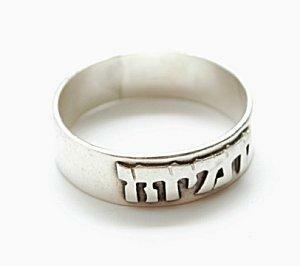 Rings engraved or carved with Hebrew letters, perhaps the initials of the couple or simple, heartfelt sentiments. Engravings may be on the interior or exterior of the ring. Rings incorporating the Star of David into the design, either as an embellishment or as the focal point of a wider style. Unusual settings may even recreate the symbol from small clustered diamonds. Rings designed or purchased in Israel that can help support the economy of that ravaged nation, though couples should take great care that they are not supporting potential blood diamond trade. 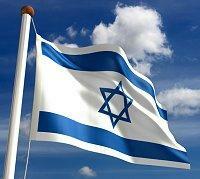 Sapphire and diamond rings set in white gold or platinum that are reminiscent of the blue and white colors of Israel. Choosing a ring with a slight wave or curve rather than a straight band. Using multi-tone rings where the different metals provide subtle decoration. Adding edging or other minor embellishments to an otherwise plain band. As with Jewish engagement rings, however, many couples prefer contemporary designs that may include diamonds or other gemstones as well as more elaborate styles not traditionally associated with Jewish wedding bands. Whether a couple prefers a traditional design or a more modern ring, the key to finding a ring that properly reflects their cultural heritage is to find one that suits them as well as their religious and spiritual background. Many custom jewelers can create one-of-a-kind rings, while specialty designers may already offer a range of cultural rings. For something as specialized as Jewish and Hebrew rings, it may be necessary to search for online merchants or to peruse online auctions for heirloom and antique items. Ceremonial rings must be cared for meticulously because of their many fine details; professional cleaning is essential to keep these rings looking their best without risking damage to the exquisite workmanship. Any repairs are best attempted only by an experienced jeweler familiar with intricate designs such as filigree or Celtic rings. Contemporary rings, on the other hand, can be cared for in the same manner as any engagement ring. Jewish engagement rings are rich with symbolism, beauty, and meaning, and are a wonderful way for a committed couple to express not only their love for one another but also their commitment to their faith. Though historic rings can be difficult to find, there are many modern options available for couples to combine their values into a treasured piece of jewelry.